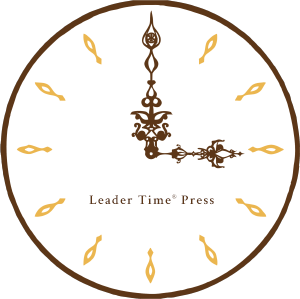 Leader Time Press is the publishing arm of Priority Thinking, founded in 2017 to issue books and materials that help leaders and their teams to recognize, learn, practice and keep sound priorities. Though Leader Time Press’ very first publishing projects involved books from Priority Thinking founder, Peter DeMarco, our vision is to publish a wide array of books from today’s foremost business and thought leaders, particularly those with a realist approach. In this collection of columns, executive coach and ethics educator Peter DeMarco answers real questions from real leaders, ranging from goal-setting to organizational design to employee discipline. DeMarco’s responses provide common sense, easy-to-implement advice that all leaders will find relevant to their daily experience. With an insight or tip on every page, this quick read helps leaders enhance their judgment, effectiveness, and decision-making. In Vol II of his Leader Time collection, leadership coach and ethics educator Peter DeMarco explores that natural connection between ethical habits, effective leadership and a high-performing organizational culture. Drawn from over three decades of leadership experience, DeMarco’s practical insight cuts through the fog of values talk and sappy, emotive approaches to ethics. Instead of lofty, pie-in-the-sky ethical idealism, readers will discover actionable techniques based on real-world principles that will help leaders improve both their ethics and effectiveness.